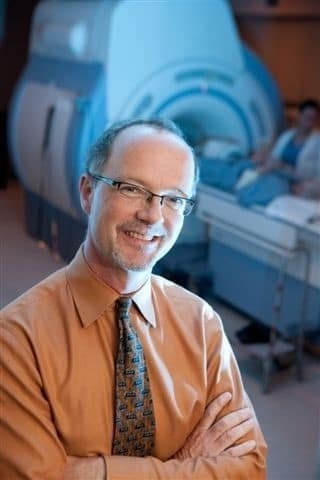 Dr. Bruce Forster is Professor and Head at the University of British Columbia, Department of Radiology; and Regional Department Head and Regional Medical Director of Medical Imaging at Vancouver Coastal Health/Providence Health. Dr. Forster was Director of Diagnostic Imaging for the Vancouver 2010 Winter Olympic and Paralympic Games. As an associate member of the Allan McGavin Sports Medicine Centre, he has been involved in the clinical, education and research aspects of sports imaging for 25 years, is Associate Editor of the journals Radiology and British Journal of Sports Medicine, and is on the Honorary Editorial Board of the Open Access Journal of Sports Medicine. Dr. Forster is the author of over 90 peer-reviewed scientific publications and 100 educational exhibits, and has delivered over 300 invited presentations, nationally and internationally. He is also the recipient of numerous teaching awards. Dr. Forster has served as President of the Pacific Northwest Radiology Society (PNWRS) as well as on the Board of Directors of the Canadian Association of Radiologists, and is currently a member of the PNWRS Board of Directors. Dr. Lum graduated from University of Ottawa Medicine in 1983, Diagnostic Radiology in 1988; Fellowship in Body Imaging, CT/MRI at Vanderbilt in 1989. She practiced at the Ottawa Civic Hospital as Head of Abdominal Imaging from 1989 to 2000. She was awarded “Teacher of the Year” in 1999 for Excellence in Teaching. She has served on many committees for the CAR, OAR, CMA, CPSO and OHA. 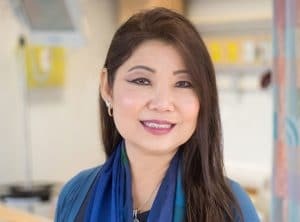 Dr. Lum was recruited in 2000 to LHSC/Schulich School of Medicine UWO where she became Program Director Diagnostic Radiology Residency and Head of Abdominal Imaging. Dr. Lum was recognized with Resident’s Choice Award in 2008 for Outstanding Commitment to Radiology Education. Dr. Lum served as interim Chair, Department of Medical Imaging in 2008 and appointed Chair from 2009 to 2017. She integrated the hospital department as City Wide Chief, LHSC and SJHC in 2011 whilst she served as interim Vice Chair MAC LHSC in 2012. In 2016, Dr. Lum was appointed Chair, MAC and Director, Quality of Medical Care, LHSC and serves as an ex-officio Director on the LHSC Board and Foundation Board. Dr. Vickar is a general radiologist with Medical Imaging Consultants in Edmonton practicing in the community and the Royal Alexandra Hospital with a special interest in diagnostic ultrasound. Following graduation from medical school at the University of Manitoba, Dr. Vickar completed his residency in Diagnostic Radiology at McGill University at the Royal Victoria Hospital. Dr. Vickar is an Associate Clinical Professor at the University of Alberta. He takes great pride in teaching radiology residents and sonographers. 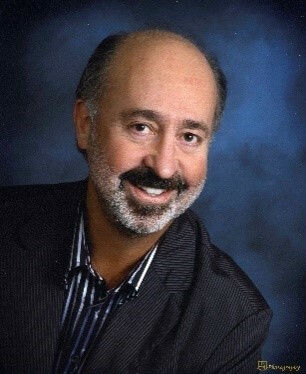 Dr. Vickar was the Program Medical director for the sonographer training programs in Edmonton and Physician Advisor for both the Alberta and Canadian Society of Diagnostic Medical Sonographers for many years. Dr. Vickar is a Past President of both the Alberta Society of Radiologists and the Canadian Association of Radiologists (2007-2009). He has served as Chair and participant in numerous CAR Working Groups, which he continues with to this day, and contributor to Practice Guidelines. He also participates on RCPSC Committees regarding Continuing Professional Development and issues related to our specialty. As well, he has served on numerous volunteer boards in the community over the years. Dr. Vickar was made a Fellow of the American College of Radiology in 2017. Dr. Boucher graduated from an MD-PhD program at the University of Toronto and went on to complete radiology residency training in 2007. He subspecialized in interventional radiology and started at McGill in 2008 as assistant professor in the department of Radiology at McGill University of Montreal, division of Interventional Radiology, and member of the McGill University Health Centre Radiology Associates group. In 2018 he became the Program Director of future McGill University Interventional Radiology Residency program. He acts as chair of Resident Research Committee. He is on the board of the Radimed Montreal Radiology group. He was awarded “Teacher of the Year” award in 2010. He has been actively involved in course developments including “Ultrasound Basics for Surgical Residents” at McGill and “Simulation course on CTA imaging” at the Société des Radiologues du Québec. He has a keen interest in well designed and innovative research. 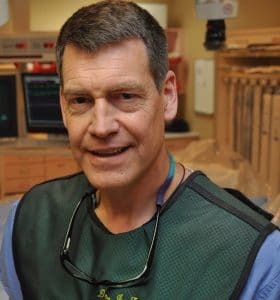 Dr. Fraser is a Cardiac Radiologist and Professor of Radiology and Medicine at Dalhousie University. He is former resident program director and presently the co-chair of the Cardiothoracic fellowship program at Dalhousie. 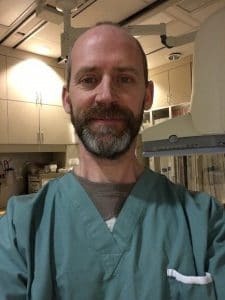 Dr. Fraser graduated from Dalhousie medical school, completed his radiology training at University of British Columbia and has fellowship training in Body Imaging and Cardiac Radiology. Dr. Fraser has served as the President of the Nova Scotia Association of Radiologists, Canadian Association of Radiologists and on the board of Chancellors of the American College of Radiology. He is the first “Legacy” CAR president, following his father in that position 25 years later. He has served on RSNA committees, and on the editorial board of the journal RADIOLOGY. He continues to serve on numerous CAR working groups. Dr. Fraser’s main professional interests have been in the areas of Medical Education, professionalism, appropriateness of imaging and quality and patient safety. He is presently the chair of the NSHA Central Zone Quality Committee and a member of the Provincial Quality and Patient Safety Committee. Dr. Fraser also strongly believes in the importance of community service and involvement and is on a number of community volunteer boards. Dr. Fraser and his father David Fraser are proud to have been made Fellows of the Canadian Association of Radiology in 2018.